1946 Mercury One-ton Truck Photo Picture Classic Cars for sale & Classifieds - Buy Sell Classic Car & Classic Truck Classifieds. 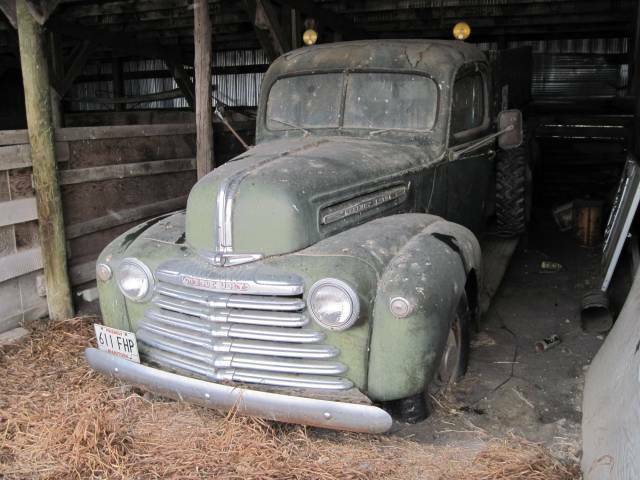 This is Heaven , 46 mercury 1 ton truck , sitting at a old yard site , waiting to be rescued... The truck is mint , no rust , nothing wrong , a little air in the tires , some new gas and go ..
You got it 53plypat. Same old story. yup....you prb guessed that right! Let me guess---"It's Not For Sale, I'm Going To Fix It Up Someday".